Whiskey Shortage? Say It Ain’t So! Do you prefer sipping your whiskey neat or stirred into your favorite old-fashioned recipe? Whichever one you prefer, you may run into issues finding your favorite spirit on store shelves in the near future. But before you stock up, here’s everything you need to know about the potential whiskey shortage. Not all whiskeys are created equal. Actually, there’s a paramount difference between “whiskey” and “whisky.” Whereas whisky is used to denote Scotch, whiskey with an “e” typically refers to liquors distilled in Ireland and the U.S. Nevertheless. And it’s Irish whiskey that may soon be harder to come by when perusing the liquor store. In the late 1800s, there were more than 80 licensed distilleries in Ireland. By 1970, only two distilleries remained. However, Irish whiskey saw a major resurgence at the end of the 20 th century, as new distilleries emerged and were marketed overseas. In fact, for more than two decades, Irish whiskey has been the fastest-growing spirit in the world. So why is there suddenly a shortage? It all comes down to the way that Irish whiskey is made. By law, all Irish whiskey has to be aged for a minimum of three years in barrels. However, some distilleries, like Jameson, age their whiskey for much longer. This aging process was established to maintain high-quality standards. In order to avoid low whiskey quality brought on by oversupply, distillers have to predict what the demand will be at least three years in the future. Unfortunately for whiskey drinkers, the estimates made three or more years ago have come up short. As the growing global demand for Irish whiskey continues to surge, any remaining reserves will be used. In other words, the mounting demand will eventually exceed capacity, contributing to a whiskey shortage. Should I Stock Up Now? According to estimates by the Irish Whiskey Association, if the current rate of growth continues, consumers won’t notice the effects of the whiskey shortage for about five or six years. That means if you haven’t explored the wonderful world of Irish whiskey, now’s the time to try out other whiskey brands before they become too hard to find. Can’t live without your favorite Irish whiskey? Consider picking up a couple of bottles next time you’re at Festival Wine and Spirits. In trying times like these, it can be hard to see the bigger picture. Still, staring down the barrel of an Irish whiskey shortage offers new opportunities to test out other whiskey varieties. For example, did you know that American whiskey sales rose 7.7 percent in 2016? 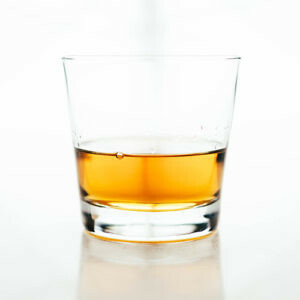 American whiskeys include bourbon, rye and Tennessee whiskey. At Festival Wine and Spirits, we offer a large selection of bourbons from top brands, such as Woodford Reserve, Maker’s Mark, Four Roses, Buffalo Trace and many more. Whether you’re looking for Irish whiskey, Scotch, bourbon or another type of whiskey, stop by Festival Wine and Spirits at 2321 Forest Drive in Annapolis, MD. We’re located next to the Giant on Riva. Also, don’t miss out on any monthly specials.